We put a great emphasis on the development and adoption of world class technology. A personalised suite of technology tailored to your business empowers both you and your staff to make travel arrangements seamless. 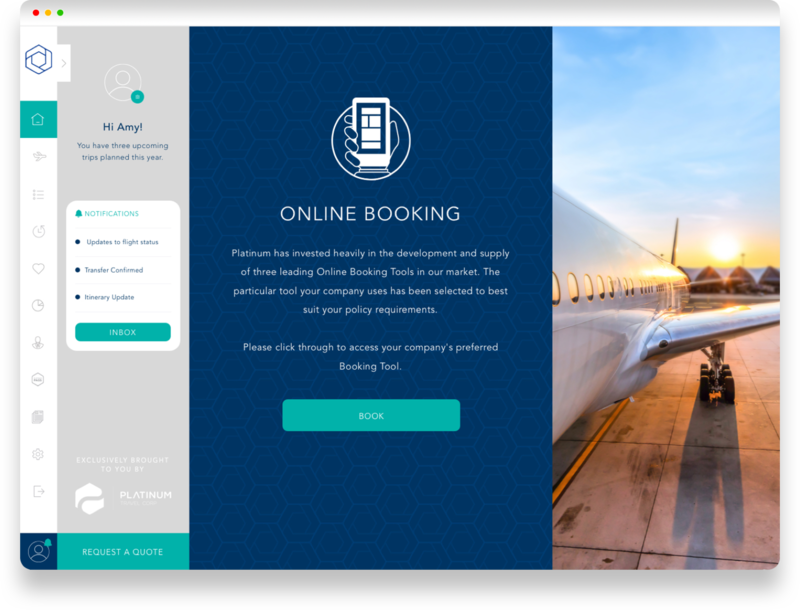 Our Portal provides our clients quick access to our suite of travel technology, intuitive booking request forms, key contacts and company policy documents. 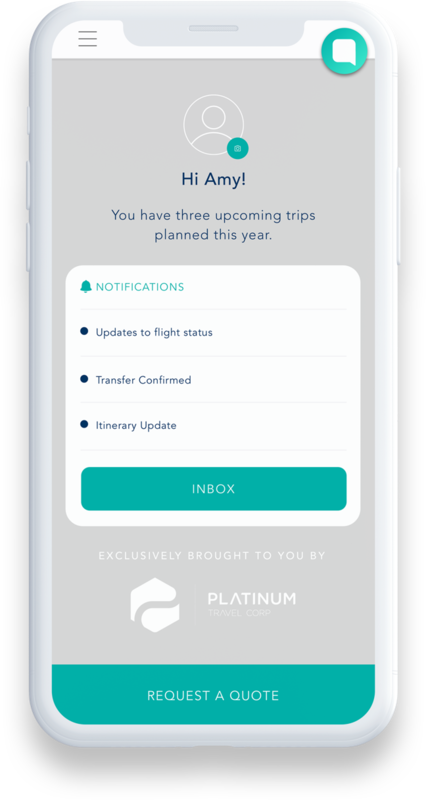 In addition to this, all users have access to their Platinum PASS, our exclusive Employee Benefit Program. The present and future lies within online booking technology. We can present to you multiple solutions, perfectly tailored to your company policy. Whether you want basic functionality or a total end-to-end expense and booking solution, our partnerships with Concur, Serko and Amadeus will ensure youʼre not left wondering if thereʼs a better option. 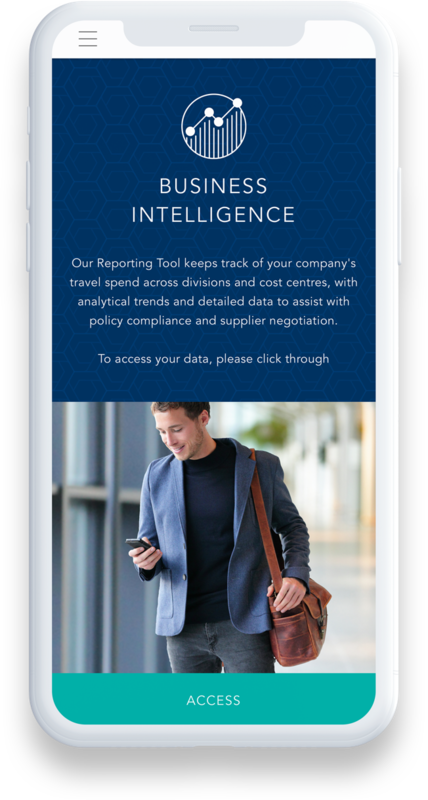 Our online reporting portal provides select users access to your travel data, on demand. 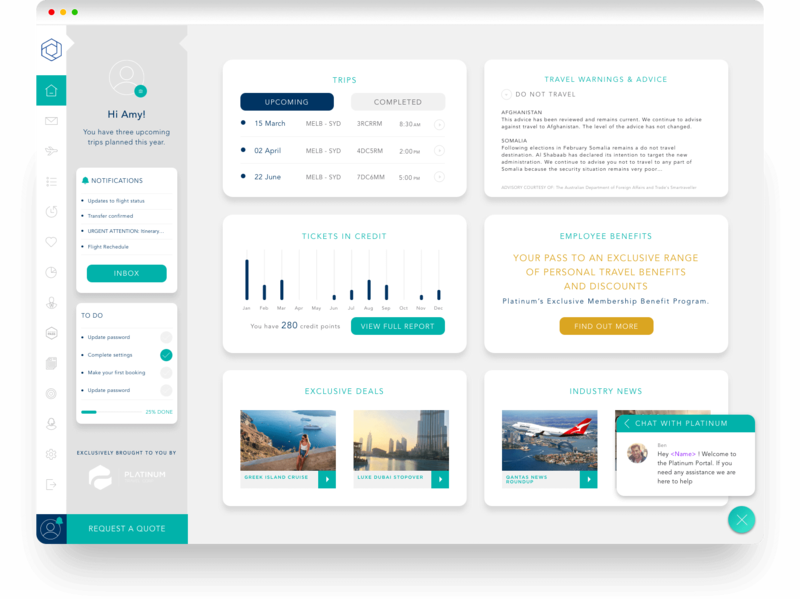 Within a click you can identify your top travellers, airline market share, preferred hotel targets, benchmark your program performance against other Platinum clients or simply extract your own raw data on demand. Yes, itʼs a real thing! Litigation is rampant globally. Our technology will help you protect your business, and more importantly, your employees. 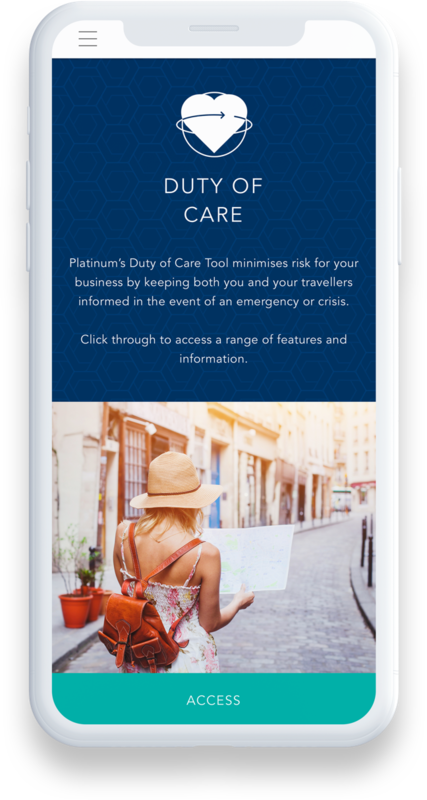 Platinum can provide live reports, feeds and alerts on global locations to ensure your team is safe and if for any reason their wellbeing is compromised, our systems will ensure you know exactly where they are and how to contact them. Technology allows us to be with you whilst you travel, 24/7. 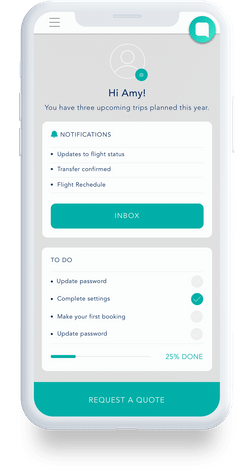 Whether it is flight changes and cancellations, directions to the office on your phone when you arrive in a foreign city, or simply a welcome home message when you land, our automated and personalised technology goes one step further to complete traveller satisfaction.